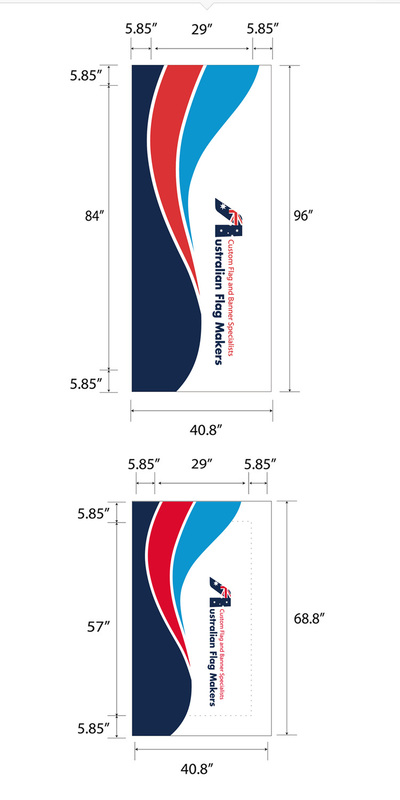 Table covers are a great way to market your brand, but they can be a bit difficult to use. They can easily slide on the table in high traffic areas, and they are prone to blowing away if you’re outside. Instead of spending the day adjusting a traditional table cover, try an elastic table top cover instead. Elastic table top covers offer an exceptionally streamlined appearance, making the table itself look like it was made just for you. Because there is no fabric that drapes over the sides of the table, you don’t have to worry about the cover blowing in the wind or potential clients tripping over excess fabric. We want everyone to experience the ease and impact of our elastic table top covers, which is why we offer them in multiple shapes and sizes. 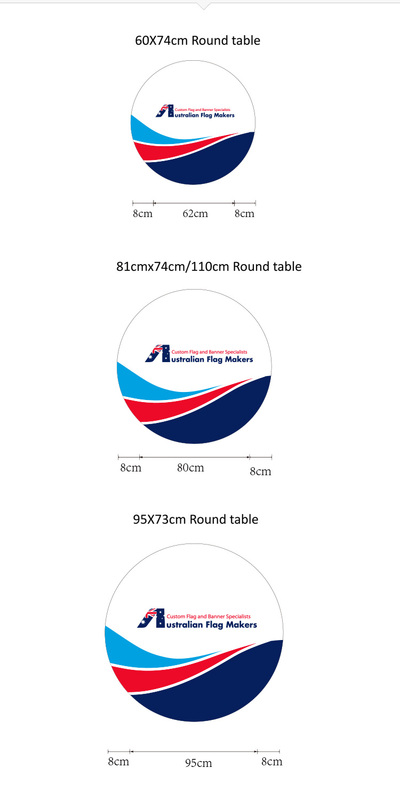 From six-foot rectangular tables to circular tables with a large diameter, we have many sizes to suit your needs. Don’t see the size you’re looking for? No problem! Because every single one of our products is completely customizable, we can create an elastic table top cover in any size you’d like. What sets our elastic table top covers apart from other products is their ease of use. They can easily be packed away into a bag and quickly placed on a table top in less than a minute. Because they are made out of high-quality elastic polyester, they are wrinkle resistant, so there’s no need to iron the tablecloth before it’s used. Cleaning is easy too. They are water resistant, but if your elastic table top cover does need to be washed, simply throw it in the washing machine. 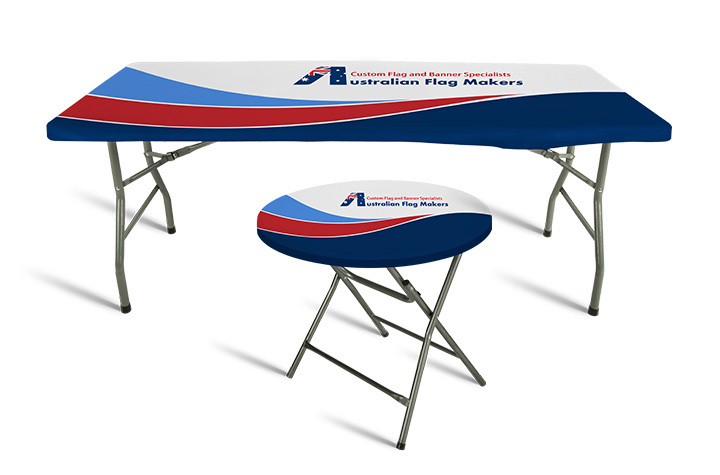 Contact us to order an elastic table top cover today!